Arborfield Americana Saint Louis, Mo. 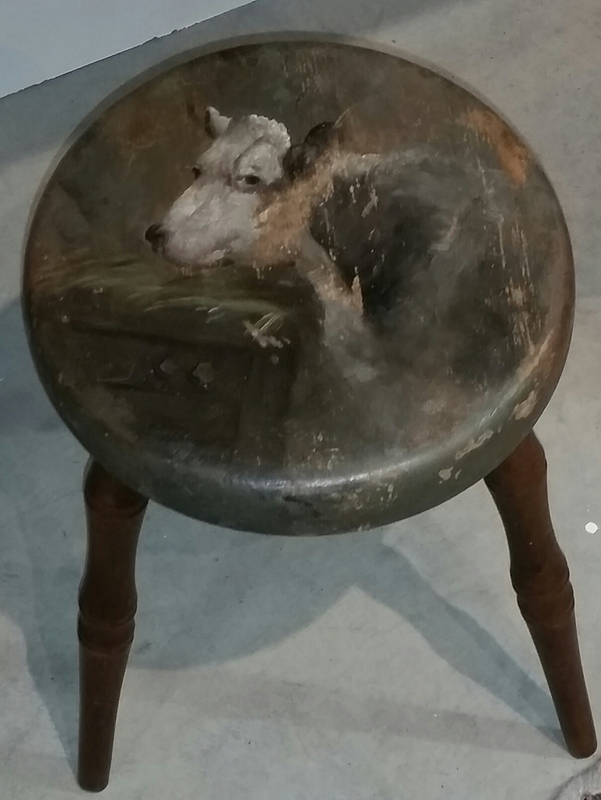 314-566-1887 ArborfieldAmericanaAntiques@gmail.com A rare, hand painted Windsor folk art milking stool in green with a face of a cow on the seat. Nice turnings on legs in old brown.